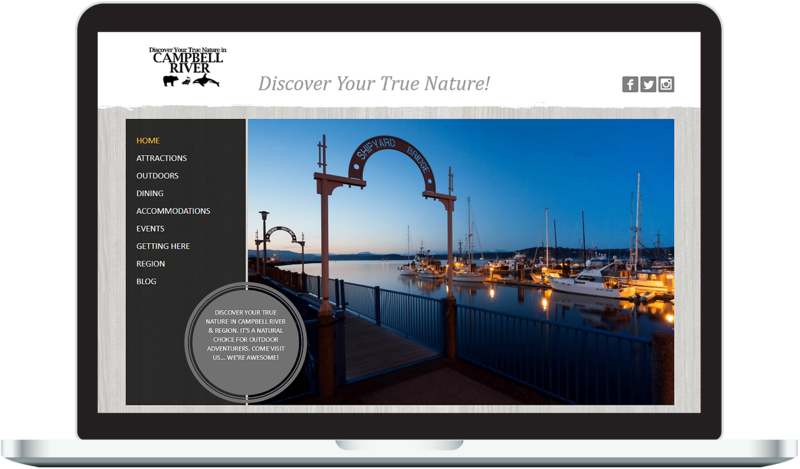 Tourism Campbell River - Primal Communications Ltd. Tourism Campbell River - Primal Communications Ltd.
Primal worked closely with Tourism Campbell River & Rivercorp staff in designing and developing a new web site for Campbell River & Region stakeholders and visitors. 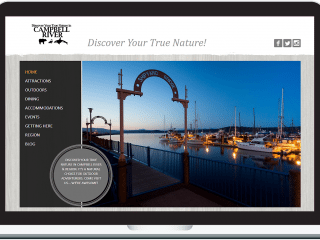 The Wordpress site features custom GUI (Graphical User Interface aka what it looks like) with a full CMS (Content Management System) that allows Tourism Campbell River staff and authorized users that ability to manage content on the site. They have the ability to add, edit or delete text and add or delete photos through out the site. 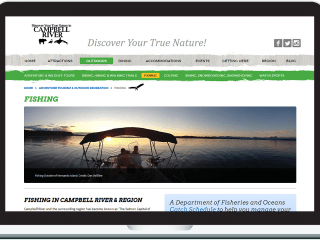 For many years Primal has designed and published the Discovery Guide for Tourism Campbell River & Region. Primal presents the business case to the client with recommended ad rates and opportunities throughout the guide as well as project costs for writing, photos, printing and distribution. 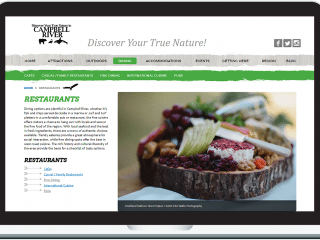 The guide works as a lure piece and preliminary planning tool which then drives readers to the web site or social media channels for enhanced engagement with visitors. One of the challenges for the region was access to photography for use in the guide, web site and online. We proposed a photo contest to build a catalogue of images derived from actual visitors. The results were amazing as literally hundreds of photos were submitted. Some were absolutely amazing. As the contest was only advertised in the Discovery Guide we knew people were reading it and the engagement was fantastic! The winning photo was featured on the cover of the Discovery Guide the following year. Here are a few of the photos submitted. Primal has designed dozens of booths, banners and display systems. Tourism Campbell River needed a flexible booth setup that could be larger or smaller based on the venue space booked. Part of the challenge of working with large graphic applications is finding images that are high enough resolution to reproduce at the quality required. Tip – For reference images need to be 100DP(Dots Per Inch) at actual size.